Plaza Arkadia is a 11.3-acre mixed-use development comprising nine 4-storey buildings that is positioned as a stylish lifestyle district. The architecture is a contemporary interpretation of the British colonial style. Hence, the buildings are named after prominent British residents during the Colonial Malaya era, who were also honoured with streets named after them. Plaza Arkadia is open air, walkable, with ground floor arcade-fronted High Street and first floor Courtyard shops, offices, and SOHOs. It is also linked by a series of interconnected courtyards and sky bridges. With nine buildings, 13 sets of escalators, and 16 lifts scattered around the development, the primary task for our designers was to resolve the wayfinding. We were given the names of the eight buildings, each name corresponding alphabetically: A=Anson, B=Bellamy, C=Campbell, D=Davidson, E=Eaton, F=Faraday, G=Gurney, and H=Hutton. The ninth building was to be Perdana ParkCity’s own headquarters and is, therefore, not part of the nomenclature. For the most part, we emphasised the buildings’ alphabetical identifier by underlining the first letter of the names. 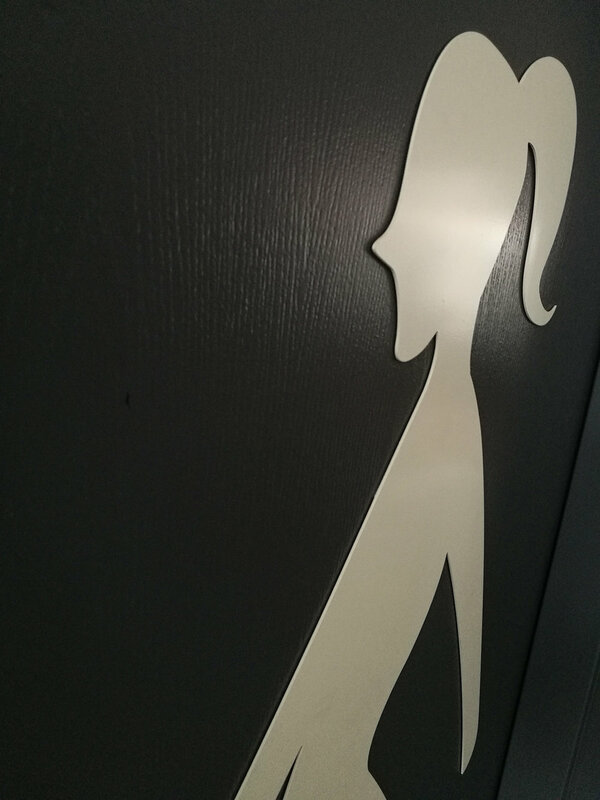 The main entrance signs, however, were given a different treatment to further accentuate this. While the names are useful in giving Plaza Arkadia its character, the alphabets are more practical for easy recognition and wayfinding, especially for first-time visitors. As such, we decided to enlarge and repeat the first letter of the names for the main entrance signs. After testing, we realised that it made for clearer communication to have a separate 'A', underlined to represent Building A, for the main entrances. Retail signs were strictly controlled, given specific guidelines (such as size and location) to reduce clutter. Desa ParkCity’s leafy residential neighbourhood is famed for its pet-friendly public central park, lake, private gardens, tropical plantings, as well as walking and cycling trails (before they became ‘trendy’ and a must in new residential developments), allowing residents to enjoy the therapeutic qualities of nature with ease. We proposed the use of images of flora and fauna as a theme for the carpark to support the Desa ParkCity brand, and to assist visitors in wayfinding as the carpark is spread under the nine buildings with different lift access. Distinctive images aid memory recall in locating one’s vehicle. The graphics also served to enliven the carpark levels. Entrance to carpark lift lobby. 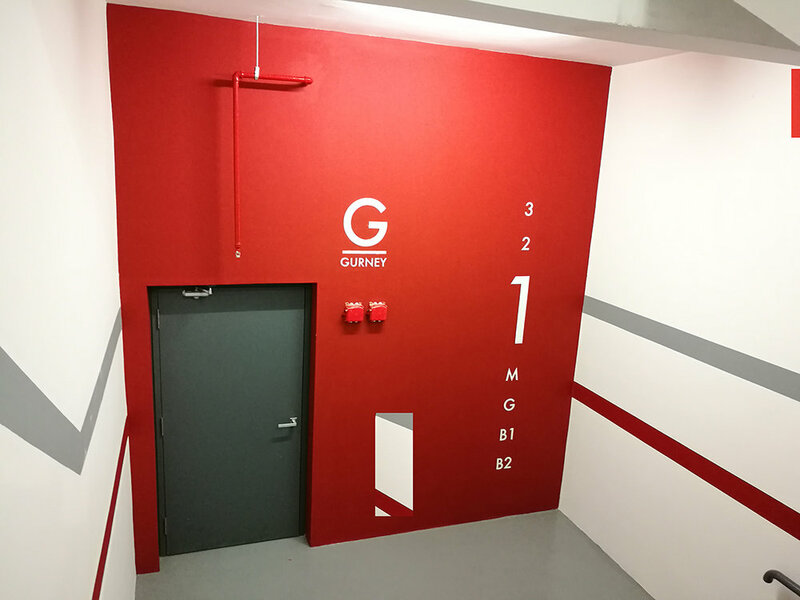 There was an initial idea to paint the columns in the carpark levels in deep grey against an overall white space—a premium look—but the final consensus was to use colour coding for a more efficient wayfinding system. Bright and lively graphics along the corridors in the carpark levels help visitors differentiate between buildings. We worked with the Desa ParkCity team over 6 months to finalise the illustrated wayfinding system.